Community Blog by RedHeadPeak // Challenge in Gaming: What’s the best way to be tested? Personally, I could never begin a game on anything except ‘normal’. It makes much more sense to me to attempt a higher difficulty on the second play through, when I have the intricacies of the gameplay sussed. Games will often hide their highest settings, allowing them to be unlocked after the player has gone through the game once. I struggle to imagine anyone running headlong into Wolfenstein’s "ÜBER" setting on their first go and then enjoying the experience. This is something video games do all the time. No matter what the genre, we are introduced to the challenge of the game in clever, careful and sometimes very subtle ways. You may or may not enjoy deliberately difficult games, or you may only play games designed to frustrate, but no good game begins at a level where you are lost in a sea of game features, new controls or with ten objectives to complete before the first checkpoint. 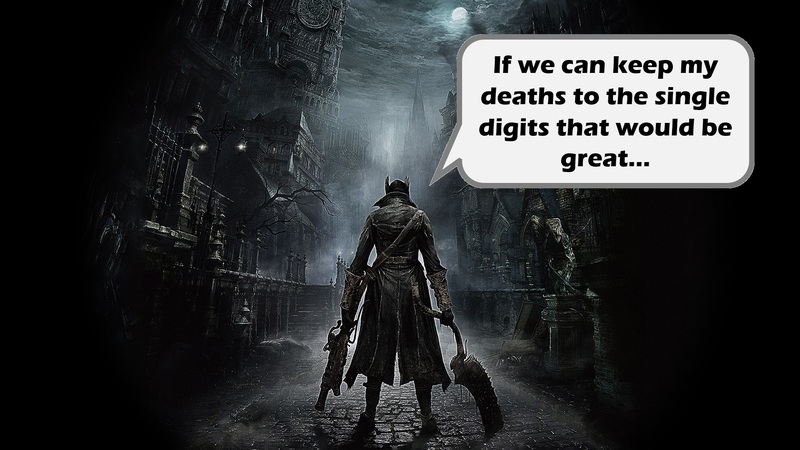 Bloodborne and his pals at From Software may have their dastardly reputations, but each games begins with a tutorial, and there is a rough progression of pain and obstacles. 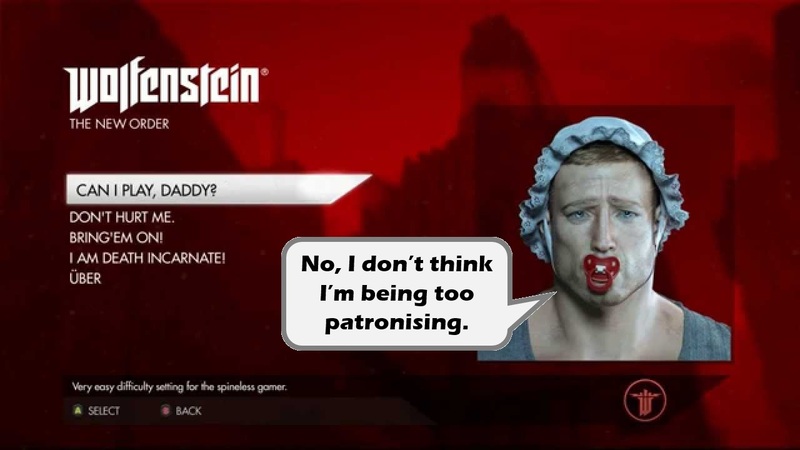 Ultimately, Wolfenstein: New World Order knows this. No matter where you want to start on the lowest or highest setting, you are still provided with instructions, the challenge progresses steadily(ish) between levels and new components of the game are added incrementally. Difficulty aside, the game adds and increases the amount of challenge in a way that the player can enjoy. We often talk about ‘difficult’ games. A game might become popular because it is designed to cause your poor thumbs to spasm and detach from your hands in a frenzy of button mashing. Alternatively, a game might be made more difficult by the player, handicapping themselves or adding a new rule to their playthrough. Yet challenge is something that exists in every game at the core. Regardless of whether the level of challenge is incredibly low or obscenely high, crafting the right level(s) of challenge can often be the unseen element that makes or breaks a game. Some games, such as the Demon’s/Dark Souls franchise, make Challenge a primary selling point, but every game must consider how to challenge us in a way we would find fun. Here are some of the ways that I feel games craftily and imperceptibly engineer the ‘right level’ of challenge in order to create a fun experience. As a teacher, the idea of challenge is mulled over on a regular basis. If you give a student a work level that they have already mastered, they will complete the task but will not gain anything. They’re most likely to become bored. Give the same student the hardest work, they won’t progress at all and become frustrated. 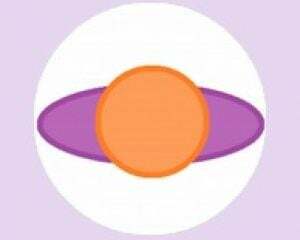 So, there’s a proper level of challenge for each student, and that level can be raised if you support their learning. Whilst I doubt video games are purposefully set out this way, they do use this logic from the outset. Most games will give you basic instructions, start you out with a few key items and abilities, and slowly add new features as time goes on. If done right, the player is able to master each area as a new areas are introduced. The game will then add new challenges, enemies and problems based on this addition. Here’s a real world comparison: a few weeks ago, I got to drive a tank. I’m not trying to brag (well maybe I am a little) but it was a really fun experience. I got to accelerate, steer and stop a 17 tonne contraption around a muddy field. What I didn’t do was change gears; the armoured personnel carrier I had been set into had an automatic gear box. Whilst there was no real attention drawn to this, I appreciated the feature. On my first go, steering and throttling were enough of a challenge to make the experience unique and fun, but if I would’ve had to mind the gears as well I may have had a less enjoyable time. The Legend of Zelda games are not challenging in the sense that we have to time our button prompts perfectly or aim precisely. The challenge often comes from a new tool added to the game, and we must spot how it can be implemented. In each boss fight, we are given plenty of time and health to figure out how this new gadget can best be used to make the creature regret its life choices. The Mario Kart games know that, eager as each player might be, starting with a 50cc pedal bike allows the player to learn the controls and practice the routes sensibly. When the 150cc beasts turn up, we are offered a new challenge, but at the right level for the player at that point. I am traditionally bad at stealth. Arkham Asylum seemed aware of this. The game clearly knew that I wanted to be Batman, but also knew that there was a high probability of me falling from a gargoyle into the arms of an unsuspecting henchmen, before limping away awkwardly and pretending that he never saw me. So, Arkham Asylum did me a favour. It made each level quite challenging, made it possible to fail and recover with some semblance of coolness. It took all that residual challenge and compartmentalised it. Should I wish to try a harder version of the game, I could visit an unlockable Challenge arena. There might be a time limit or an immediate fail-state or a very specific task to complete. I didn’t want to visit those places, of course. I’ll freely admit that those Challenges were not for me, but I definitely appreciate their existence. Games that offer a separate space of challenge – often unlocked by playing the story – are a great way to allow players to challenge themselves… if that’s their thing. Meanwhile, the rest of us can enjoy a more sensible, less embarrassing test of skill. Additional unlockable difficulty settings are also an excellent way for games to Challenge those who specifically wanted to be pulverised. It’s especially pleasing to see games offer an extra test that isn’t simply more-bots-do-more-damage. Whether it’s Max Payne and the strict time limit setting or Dead Space and the dangerously reduced number of save points setting, introducing an isolated difficulty level is a great way to make everyone happy. There is a simple way that so many games add an element of challenge, whilst also mixing the gameplay up for a short spell: they take everything away from you. Whilst this is largely implemented by action-adventure, combative games, there are many versions of this concept. At some point in the story, usually towards the latter half, something bad will happen to you or your friends or your mission. A common scenario is the villains getting the drop on you, imprisoning you and taking away your toys. You weapons/magics/abilities are nullified, and you must scrape by with your bare hands. Eventually you will kill enough goons to refill your arsenal, or find all your gear in a weirdly convenient lock-up. Sometimes this scenario allows for an important story moment amongst the chaos, but for me the change of pace and gameplay throws a different type of challenge into the mix. If nothing else, it helps you to appreciate all your toys when they come back to you. The prime example of this is in the latter stages of Half Life 2. 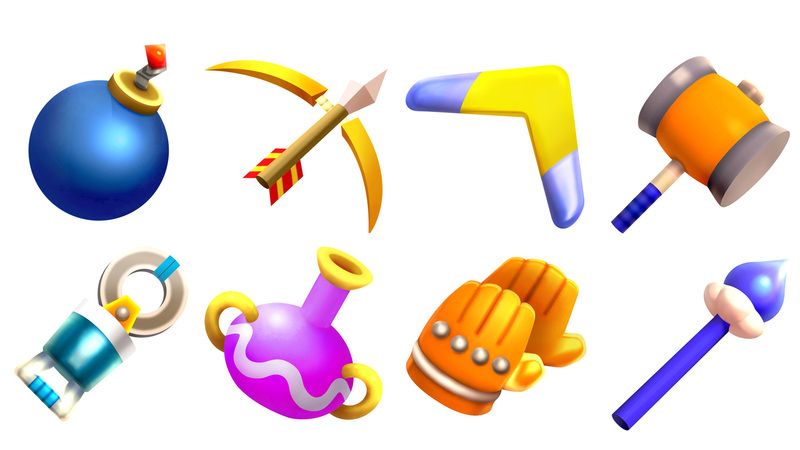 All but one of your weapons is obliterated when entering an evil lair, leaving you to fend off waves of enemies with only one useful item. You’re not massively inhibited by this. The weapon in question is supercharged to the point where it’s no such much a gun as it is a human-ragdoll generator. Either way, the difficulty doesn’t rise too steeply, but the challenge shifts in an entertaining way. Another thing that Half Life 2 does, which so many games also go for, is to include at least one level that has the player doing something entirely different for a single level. This might be a car chase apropos of nothing, a walk in a gun-riddled mech, or a fistfight. Whilst this decision to include this tangent in gameplay can be explained away as a need to change the pace or to throw a new adventure at the player, adding this alternative situation can also deliver a fresh test to the players skill. 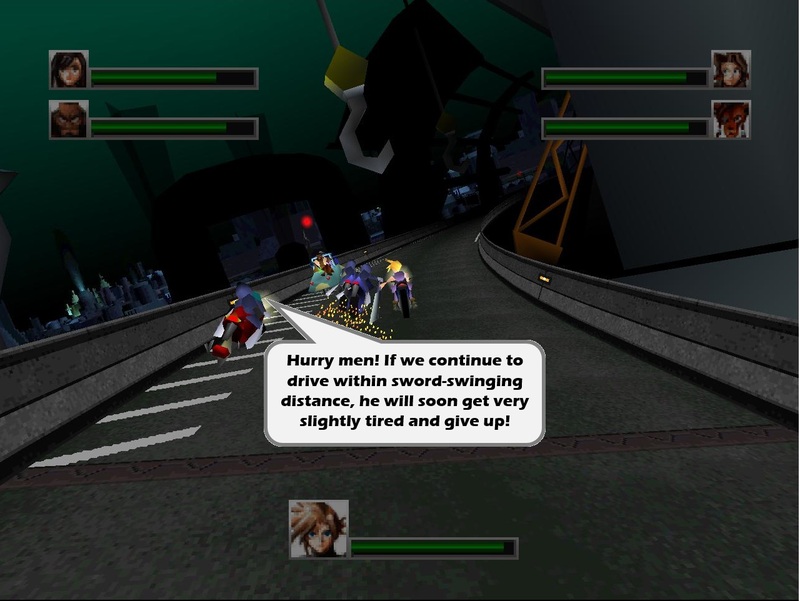 My first experience of this was with Final Fantasy VII, where you take the controls of a giant motorcycle barrelling down a highway, swinging Cloud’s indecently large sword at your pursuers. If you didn’t come across the mini-game later on, this was the one and only time this mechanic appeared, and is therefore a fairly unnecessary part of the game. However, by throwing the player into this new mechanic and challenging them to something new, we are able to experience the frantic nature of the car/bike chase. By giving us a new challenge, we are made to suddenly have our wits about us. The latest experience I had of this type of challenge came in Uncharted 4: A Thief’s End [spoiler ahead]. In the eleventh hour of the game, Nathan Drake is challenged to a sword fight. The last ‘boss’ of the game is not a challenge because of a mound of Hit Points or one-shot-kill attacks; we are challenged by a brand new set of game mechanics, tutorial et al. For me, this was an excellent way of switching gameplay on a player. Drake might be a gunslinger, human spider monkey and bullet absorber, but he is not a fencer (something the antagonist mocks Nathan for). The player has not seen these new rules, and so Nathan’s strikes are sloppy and panicked, as they should be. The player is in a desperate situation, which is emphasised by this new challenge [Spoiler ends]. In many ways, writing this made me realise one reason to really appreciate Wolfenstein: New World Order. It may have its five levels of difficulty, but it finds various ways to challenge the player beyond making things uber-difficult. New game mechanics are added steadily, levels occasionally break with the norm to throw a new challenge at you, and you don’t start every level coated in firearms. There are also different challenges hidden behind a completed story mode. Another thing that New World Order does well is something I want to write about in the future. 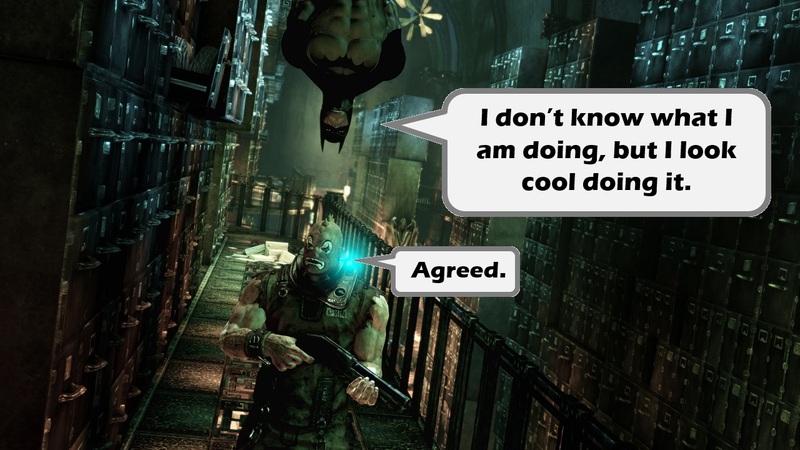 Action games are increasingly including stealth mechanics as an optional feature. 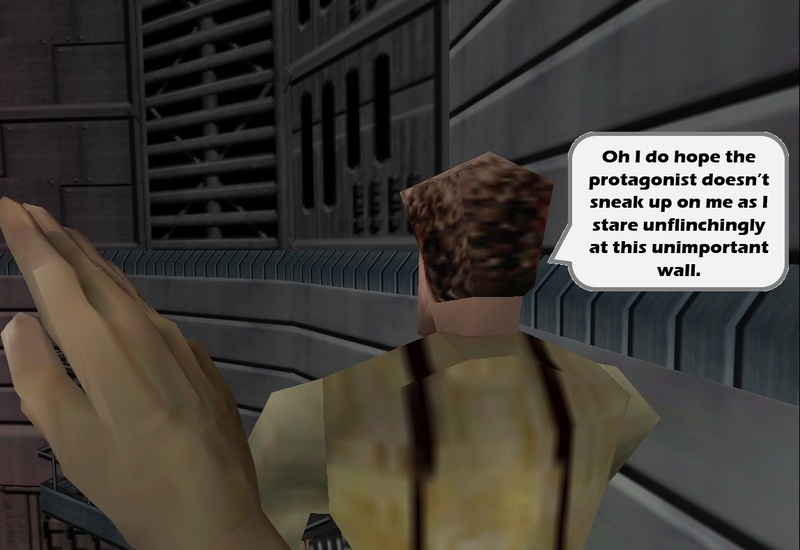 This is the best kind of challenge that a video game can include, in my opinion: the choice of self-imposed challenge. I could mow this horde of enemies with my super-sized shotgun, or I could try to kill them all silently. If I fail, it’s no big deal, but I could challenge myself if I want to. Difficult or not, every game challenges us in one or more ways. What kinds of challenge do you enjoy, that I have yet to mention? Which games for you hit the ‘right’ level of challenge all the way through? Do you think that it’s more important for a game to be difficult or challenging? Thank You for Reading! You can find my blog here or at GamerPeak.com!